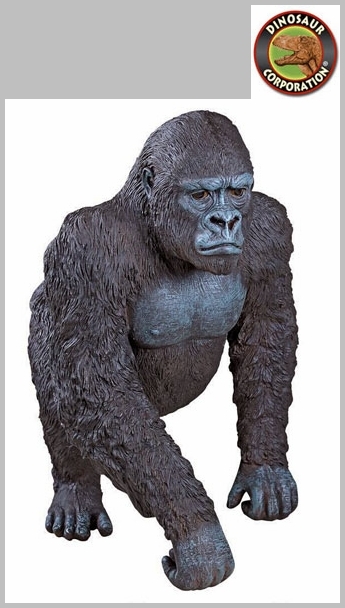 Gorilla Outdoor Statue. Welcome the call of the wild with our muscular black-back gorilla who's so fierce that you might mistake him for the real thing! 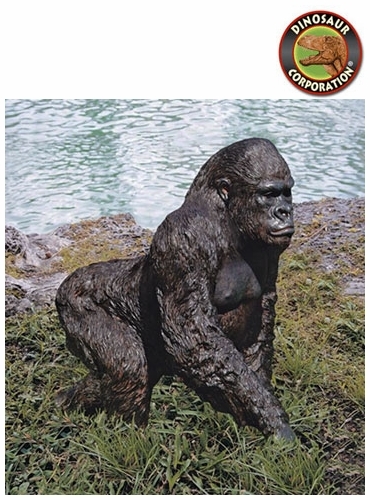 Our over two-foot-tall gentle giant, authentically sculpted of quality designer resin to ward off intruders while adding a touch of the exotic to any garden. * Size: 17" W x 27�" D x 27" H.